Growing up in Hawaii, where our Christmas Trees are shipped in containers from the Pacific Northwest, I always had a romantic notion of bundling up and driving out to the country, saw in hand, to select and cut down my own Christmas Tree. Now that I have a family of my own and we live in a region where there are scenic mountains and Christmas Tree farms, the annual trek has become one of our most looked-forward-to traditions. And maybe because we're cutting the tree down ourselves, we appreciate it more--I've noticed that, over the years, we keep finding new traditions and rituals to incorporate our Christmas Tree in, extending our season of celebration. 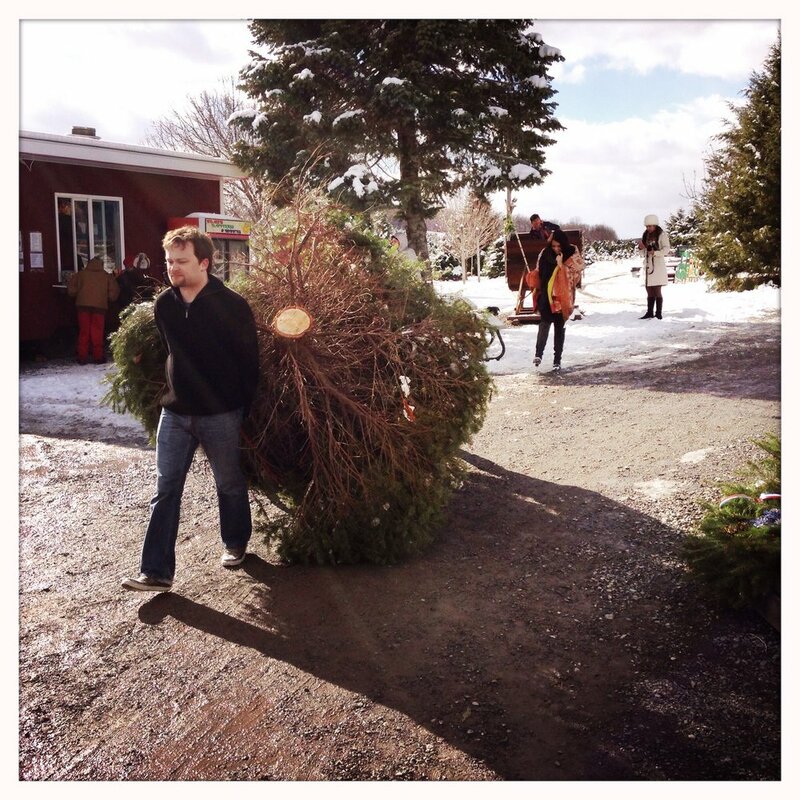 We start by making our yearly Christmas Tree Harvest a truly glamorous event. We're like a family of fancy lumberjacks! 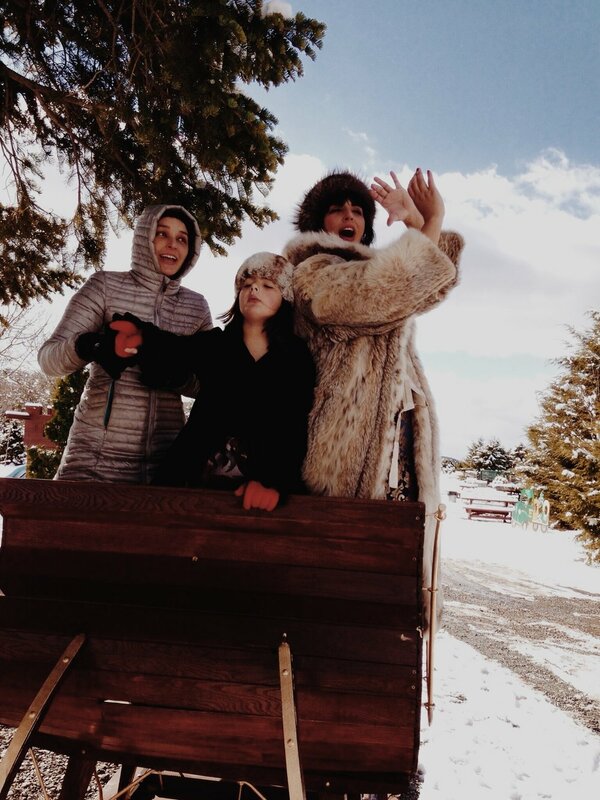 The kids and I go all out, getting gussied up and picking our outfits well in advance. 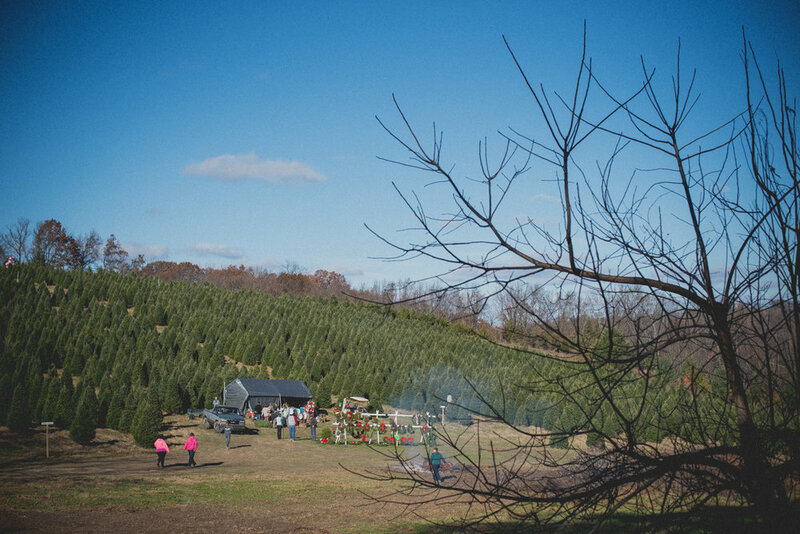 The yearly Christmas Tree excursion is one of our very favorite events, so there's plenty of anticipation and buildup before the big day actually rolls around. And of course we dress the tree up, too! I always think of Julia Child when we do this. She famously said, “I always give my bird a generous butter massage before I put it in the oven. Why? Because I think the chicken likes it — and, more important, I like to give it." We treat our soon-to-be Christmas Tree with the same kind of reverence. Once we've picked out our tree, the kids and I all work together to adorn it, and this part of the day always makes for a really fun photo series. Our friend Rob Yaskovic and his four children have joined us for the last few Harvests, and we've made a friendly little sport out of photographing each other's families. 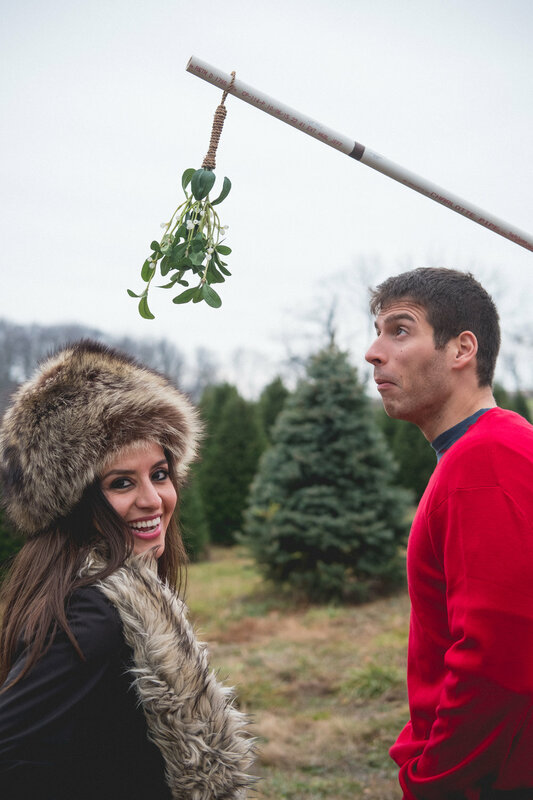 Our Christmas Tree Harvest is always a new adventure, and we never really know what nature is going to serve up. Some trees are tougher to chop down than others, and no two excursions are ever the same — we even got an unexpected dose of snow one year! No matter what, everyone has a great time and cuts loose, and we always make the most of the day by combining it with our yearly Christmas card photoshoot. By combining these two yearly events, our annual Christmas card photo turns out looking that much more special and spontaneous. 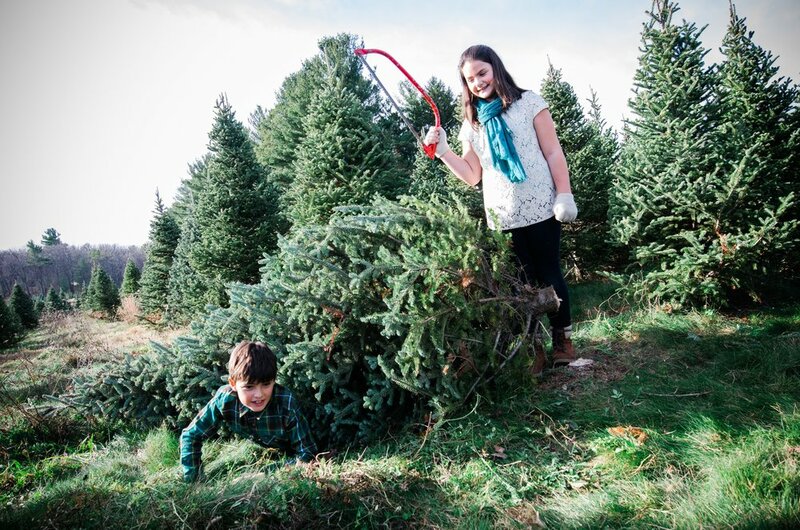 Instead of a posed and put-together family scenario, our Christmas Tree Harvest photo shoot gives us a genuine, in-the-moment portrait of a family enjoying a yearly tradition that we all adore. When our holiday cards go out, our friends and family get a snapshot of us doing something we love, and it's a feeling that comes through loud and clear when you see our photos. Everyone gets to pick their own outfit, everyone contributes their own bit of flair to the tree, and we're all engaged in an activity that we love putting together. When the whole family gets involved, the results are more special and everybody has a true sense of pride, not only in in the family portrait but in the process of choosing the tree we all bring home and adorn. The best pictures come from capturing those moments of true, shared joy — it's written in the smile on your face when you're doing something you love with the people you care about most. 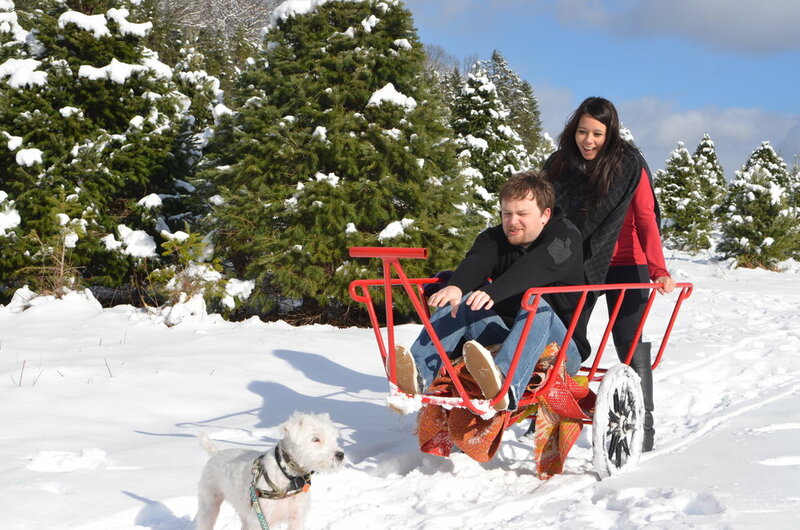 This was a big part of the reason we decided to start taking our Christmas card photos during an event that we all look forward to every year.